In the last 2-3 years, there has been a massive development when it comes to the production and release of innovative monitors that are perfect for gaming. The market has welcomed the arrival of high-end gaming monitors that boast higher resolutions that even reach 4K. ASUS, for instance, is not a stranger when it comes to releasing impressive monitors such as their latest curved gaming monitors as well as the long anticipated 144Hz 4K model. However, for those out there who aren’t willing to pay a lot of money for the high-end gaming machines, there is also good news as the older models drop in price yet still deliver an amazing gaming experience. The 27” WQHD ASUS MG279Q prides itself for being equipped with impressive 144Hz refresh rate, 1440p resolution, and AMD FreeSync technology that gives every game the power to embark on a smooth experience and seamless visuals. The 27-inch display of ASUS MG279Q PC monitor comes with the In-Plane Switching (IPS) technology. Said technology gives gamers and users superior images and color saturation of 100% sRGB Gamut. The panel is capable of producing a whopping 16.78 million colors that can truly bring any game or visuals to life. You will also enjoy playing games thanks to the ASUS Smart Contrast Ratio that gives an astounding 1,000,000,000:1 contrast. The 178-degree viewing angles is also an advantage as it minimizes distortion as well as controls color shifts. This also boosts pleasurable viewing experience of those around you. Another reason that makes the ASUS MG279Q a true winner when it comes to the competition for the best gaming monitor. This ASUS model offers a whole new generation of display that is equipped with an impressive resolution of WQHD 2560×1440 panel. The pixel density of 109 per inch results in a vibrant image quality with expressive details. 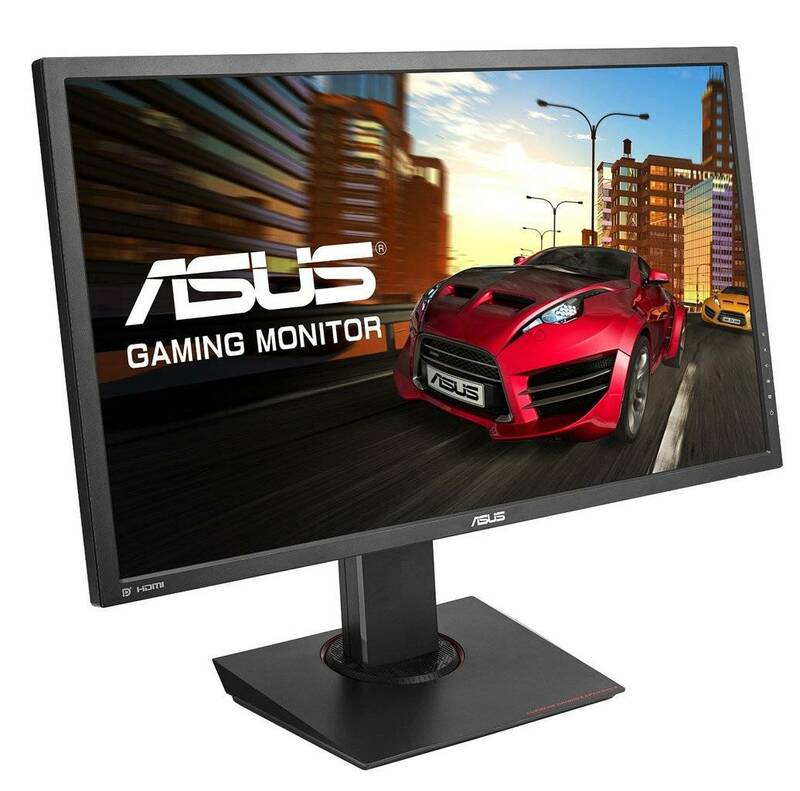 As compared to the standard FHD 1920 x 1080 displays that are common with most gaming monitors, gamers and users of the ASUS MG279Q 1440p display enjoy a greater detailed imaging. They also get to benefit from 77% more desktop space. While many may not pay attention to small details such as these, they can actually provide gamers with a massive in-game advantage due to the sharper overall picture. 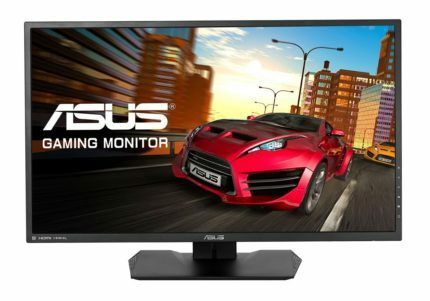 You would instantly find in this ASUS MG279Q monitor review that the most important and interesting feature of this gaming monitor is the AMD FreeSync technology. It zaps the visual tears as well as the stutters that typically happens when the refresh rate and the frame rate of the graphics card become out of sync. This technology basically matches the refresh rate and the frame rate so as to ensure smoother gaming. However, it is only usable with the FreeSync compatible AMD graphics cards. The presence of the AMD FreeSync technology in the ASUS MG279Q 144Hz display is a colossal advantage for gamers as the technology itself resolves the communication issues that can occur between the processor and the monitor. This technology is built to ensure that gamers would no longer experience broken frames and choppy gameplay. On top of the AMD FreeSync technology, this monitor has other ASUS-exclusive technologies and features like GamePlus, Game Visual, Ultra-Low Blue Light, and Flicker-Free, which are all designed to give comfortable gaming experience. On the right side, you can access the Power Button. Next to it is a 5-way OSD control buttons. This is quite tricky as you may first see the marking on the front bezel. However, the actual buttons are actually on the back side. Navigating the setting menu is also a breeze with the ASUS MG279Q. One thing I appreciate about the GameVisual settings is that they come in the form of optimized picture pre-sets The settings include options for the Racing, Scenery, Real-Time Strategy/Role-Playing Game, sRGB, and First Person Shooter modes. In addition, when it comes to the Brightness and Contrast, there are added features that turn the Blue Light Filter option on and off. This filter is designed to alleviate the common eye strains that many gamers experience from playing long sessions. You can also optimize the Skin Tone Settings and choose among Natural, Yellowish, and Reddish. Aside from brightest, contrast, and skin tone settings, gamers can also choose from four different Color Temperature modes which are Normal, Warm, Cool, and User. One of the concerns for some consumers is the consumption. As per the manufacturer’s specifications, this monitor consumes around 38.7 W when in use and about 0.5W when on standby mode. Upon testing, this monitor consumes about 39.W at the default brightness setting. True enough, it also consumes about 0.5W when on standby mode. The good news is, when it was recalibrated, the consumption was drastically reduced to 29W. Furthermore, to ensure that you are not consuming too much energy when playing for hours, you may opt for the ECO mode. There is no doubt that in this ASUS MG279Q IPS monitor review, the monitor has been made synonymous with game-centric features and technology that are designed to give all gamers the upper hand in gameplay as well as overall superb tanning experience. One of the features that pump up gamers is the ASUS-exclusive GamePlus Technology. The ASUS GamePlus hotkey offers four different crosshair overlays to suit every gaming preference and environment. The crosshairs also help games keep track of their spawns as well as operate the timer functions. The on-screen timer can be placed anywhere on the edge of the display. The ASUS-exclusive GameVisual technology is also a big plus for gamers as it already gives six different pre-set display modes. The models are all designed to suit every type of gaming scenarios and can be accessed through the On Screen Display (OSD) menu. The FPS feature of the GameVisual Technology also helps in enhancing visibility, especially in dark scenes. This would make your opponents visible, thus, giving you an upper hand. Another feature that every amateur and professional gamer needs is the Flick-Free technology. This basically reduces the instances of eye strains so as to ensure comfortable and pain-free gaming experience. When you happen to be entangled in long sessions of gaming, it is an absolute must that you make an effort to protect your eyes from damaging effects. This also contributes to the pleasurable viewing experience of those who are watching around you. Another reason that makes the ASUS MG279Q a true winner when it comes to the competition for the best gaming monitor is the enhanced visibility that is brought about by different game-centric features. This comes in the form of filters in four different levels and they can also be activated via the OSD menu. The first thing that caught my attention is the writing right on the base of the stand. It says, “Supreme Gaming Experience”. This alone made me extra excited to give this ASUS MG279Q screen a test drive. The monitor comes in an all-black design. Although the base and the bezel are made from matte plastics, they look chic and sturdy. The bezel itself is only around 13mm thick. You could notice the small and subtle power LED on the bottom right corner of the motor. It is rich white in color when the screen is in normal operation and amber when in standby mode. 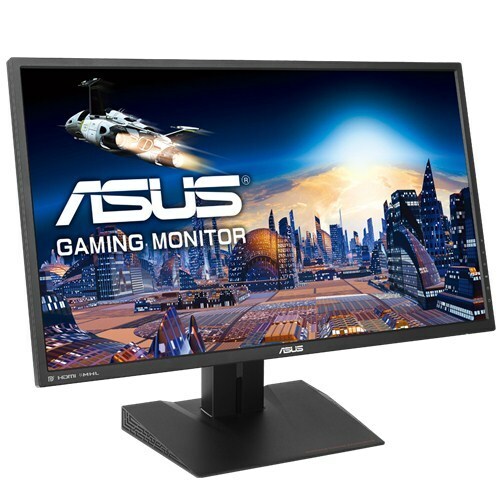 If you are a gaming enthusiast or if you do gaming professionally, you would find that the ASUS MG279Q monitor is engineered specifically for long sessions of marathon gaming. The ultra-slim profile of the monitor and the slim bezel is ideal for multi-display setup. If you were a gamer who has the habit of moving or changing your sitting positions, this one is for you as well. As it is ergonomically-designed, you can swivel, pivot, and tilt it any way you like. You can also adjust the height to make it more comfortable for you while you play or while you do any of your computing duties. 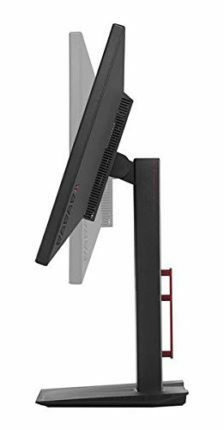 If you are keen on mounting it on your wall, you can simply detach the monitor from its stand via a quick-release mechanism. The ASUS MG279Q display is also designed to offer advanced connectivity. Each model has MiniDisplayPort 1.2 that is specifically for WQHD output. In addition, you can also find two HDMI/MHL ports. For efficient pass-through connectivity, you can use the dual USB 3.0 ports. There is no need to use any special adapter to connect your other device and gaming consoles. On top of these, there is no need to worry about messy and entangled cables as the monitor itself is equipped with smart cable management system at the back of it. This is to keep all your cables tidy and organized, and gaming station clutter-free. 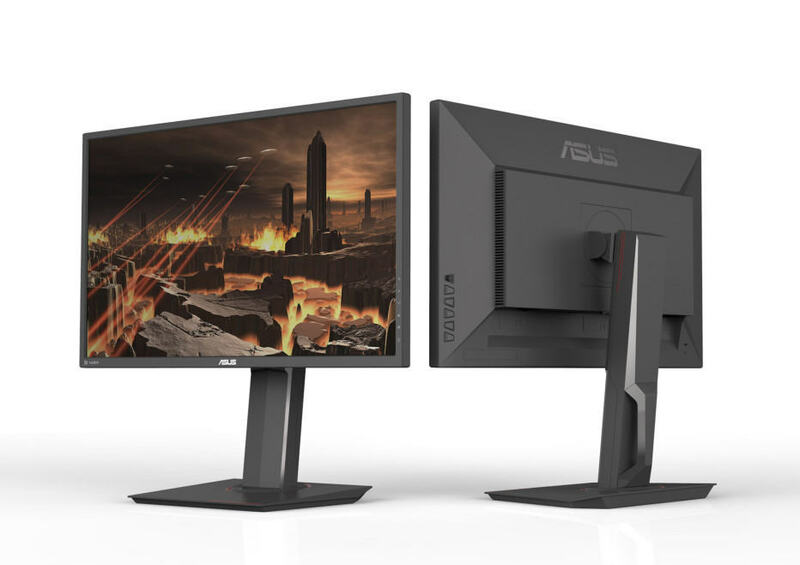 You can never go wrong with the ASUS MG279Q FreeSync monitor. At first glance, the overall appearance and the size are certainly a plus for any gamer. More importantly, the technology and the features included in this monitor practically offers a gaming arena on its own. The AMD FreeSync technology on its own can resolve several issues that gamers typically encounter. Not only do they offer huge advantages during gameplay, but also provides added comfort for the gaming enthusiasts. The ergonomic design also offers flexibility for gamers as they can use the monitor on the desktop or have it mounted on the wall. Overall, if you are serious about gaming, you will want to give the ASUS MG279Q display a try. Built with powerful game-centric technology and features, and designed with ergonomics and eco-efficiency in mind, the ASUS MG279Q is a gaming monitor for every novice or experienced gaming enthusiasts. The overall look and the smooth gaming experience it offers make it one of the top monitors available on the market that you can check. Isn’t this old? This is the monitor that has the Freesync limitation bug of 30-90hz no? Need more details like release date….